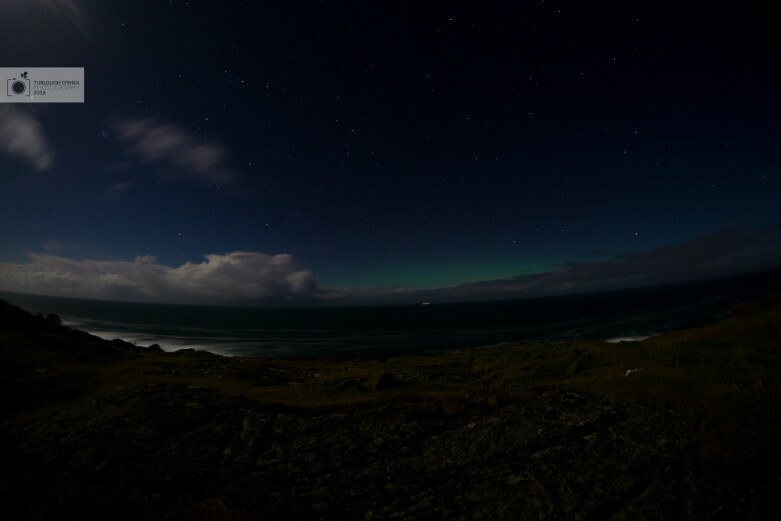 As Kathryn and I found ourselves in Donegal for a few days, we were on high alert for any sign of the Northern Lights. We saw that they might be somewhat active. However, the moon was very bright so we weren’t sure what we would be able to see, if anything! We read that either side of midnight would be best for viewing the Northern Lights. 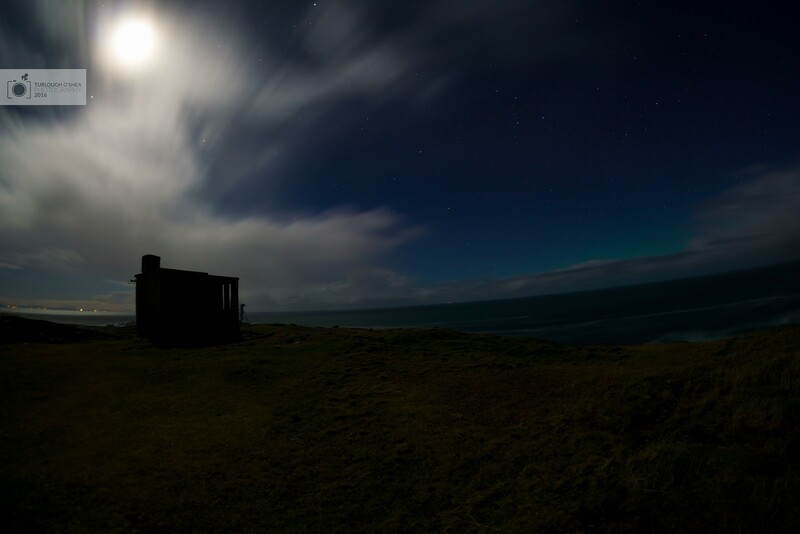 We aimed to get to Malin Head (the most northern point in Ireland) for around 22:30. That gave us time to explore, find a spot and set up. On the way there, we came across a car that had been flipped on its side. Everyone inside was fine and we continued on. It made us more wary of the roads we were driving. 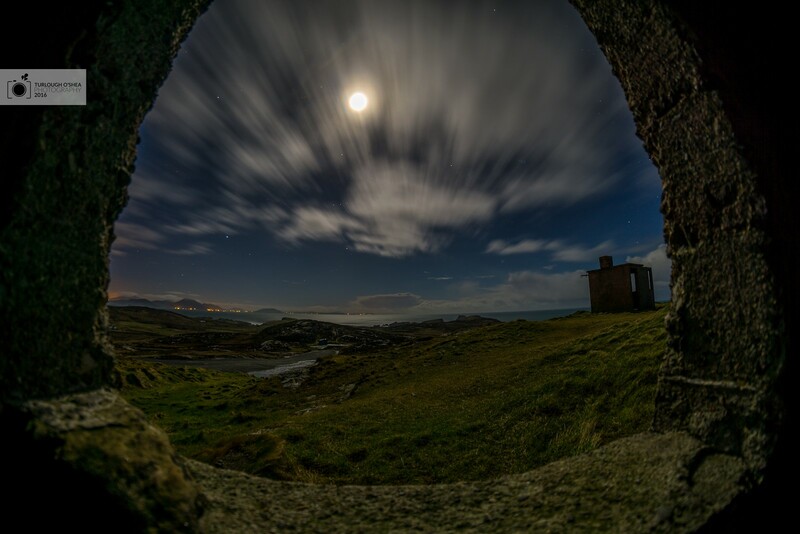 We went to Banba’s Crown which is the most northerly point on Malin head. From here we would have as good a vantage point as we could have. It was ridiculously windy. There was hardly any protection from the wind. I took several pictures from different locations around. I could see a faint green hue on my camera preview screen. At that point I knew we had seen the Northern Lights, albeit weakly. After trying many times we had finally seen the Northern lights. It was a little underwhelming as it was barely visible to the naked eye. However, capturing what little I did, has given me new drive and hope to see it properly in the future. I’m going to keep an eye on Soft Serve News and Sat 24 for news about auroras and weather. I would try higher ISOs and lower shutter speeds. I got distracted by the excitement and never changed the ISO. This meant that I needed longer shutter speeds to capture my images. It probably didn’t make a huge difference this time, but it might next time! I would probably wrap up better and bring better cold weather clothes. I had a decent jacket and hat, but the wind got past my scarf and my gloves were too cumbersome to use with the camera. I would love the opportunity to shoot the Northern Lights in either Norway or Iceland and hope to get the chance to do it either later this year or early next year!